Passionate about her métier and adept in a variety of genres, atmosphere is an integral component in Lily's production sound as techno, deep and progressive house are closely tied to sensations ranging across the spectrum from melancholy to delight. Now interchanging these differing moods into audile form. 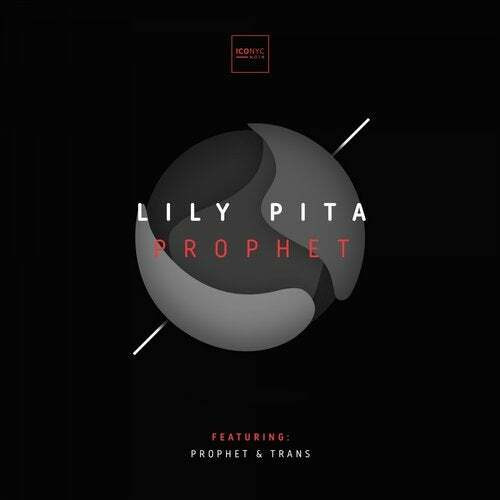 ICONYC Noir is proud to announce Lily Pita's latest outing on the label with the brilliant 'Prophet EP'. To start us off, Lily lets rip with the driving, melodic soundscapes of 'Prophet'. Her influences are immediately evident as subtle freeform concepts drift through driving percussive inspired instrumentations. Rippling melodies trip along a deep kick that anchors an auricular montage to create a special sonic infused moment, accompanied by a refined synth line that is going to leave a mark on your aural perception. Prophet is destined to rip up any dancefloor. Essential stuff. Next up we have, 'Trans' a musical affirmation, unified by a smooth kick drum and atmospheric emotion, the track is a concoction of warm, deep bass grooves, swirling pads, textured layers and stunning effects. Clever synth phrases complete the picture and create a cleverly worked piece of art to see out a true masterpiece release from Lily Pita. Lily Pita delivers a beautiful EP full of driving electronica-soaked harmonies which come together to create a structured sphere of sonic geniality. A wonderful EP for the ages and a wonderful way to move into spring in style on ICONY Noir. Lily Pita's 'Prophet EP' sees a worldwide release on March 18th, 2019 via ICONYC Noir. Highly recommended!